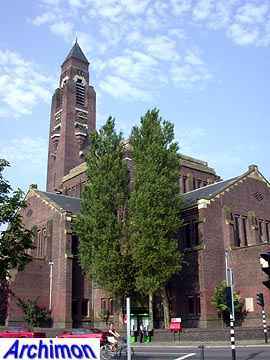 There are many churches named after members of the royal family in the Netherlands. All of them are protestant. Few of these churches can be called 'royal', though. 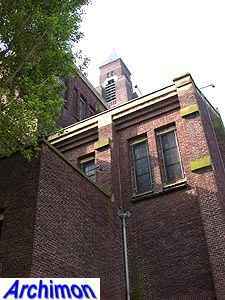 The Julianakerk can be. 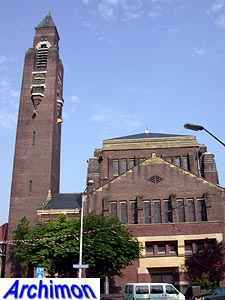 The church represent the reformed ('hervormd' in Dutch), the denomination historically connected to the house of Oranje-Nassau. 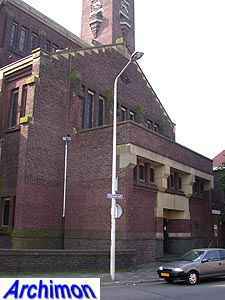 The 'first' stone for this church was laid by princess Juliana, the later queen, after whom the church was named. A plaque next to the entrance commemorates this fact; 'On September the 20th 1924, in the presence of her majesty queen Wilhelmina of the Netherlands, this memorial stone was placed by her royal higness, Juliana Louisa Emma Maria Wilhelmina, princess of the Netherlands. Praise God!'. 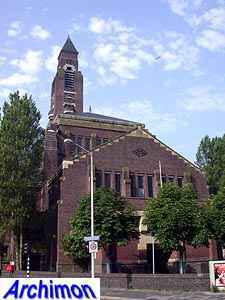 In 1927 the princess officially became a member of the denomination in this church. 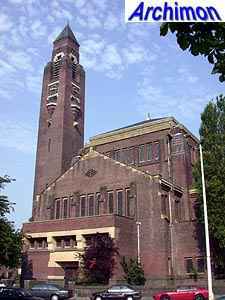 The Julianakerk was one of the first churches that were designed by G. van Hoogevest, although he started his career in this field already in 1909. As reformed churches go, this is a big one. 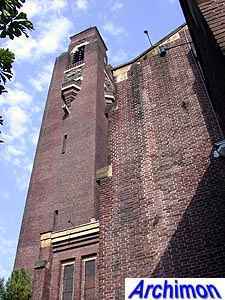 Its ground-plan has the shape of a Greek cross, with four arms of equal length, except that the one at the front is lenghtened by the tower. 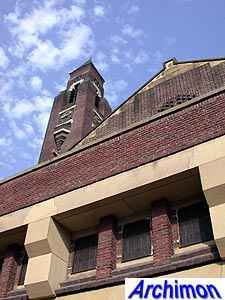 The capacity of the church is increased by making the arms two storeys high. In one of these arms the organ was placed, the others had seats. At the centre of the cross is a big square space, which is higher than the arms. 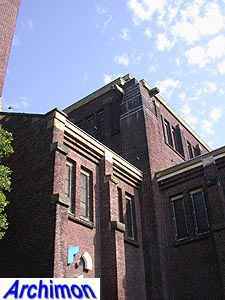 Light is provided by many narrow rectangular windows. 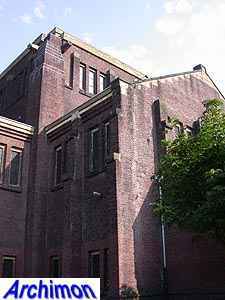 The style in which the building was built is Rationalism that was running at its end by then, and which combined Berlagian principles with elements of Jugendstil. 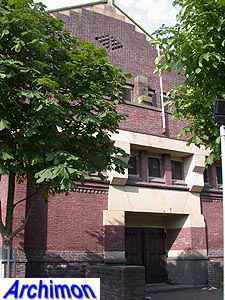 That latter style is absent here, except perhaps at the tower, but the use of brick as the main material, with natural stone accentuating entrances and rims, is definitely Rationalist. In the last few decades the Transvaal neighbourhood has attracted many immigrants, while the indigenous population has decreased. 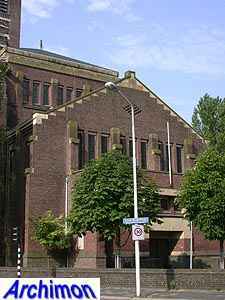 The church closed several years ago, and in 1999 was sold to the municipality who has had great difficulty finding a new use for the building. A previous attempt to turn it into a mosque failed. After a restoration however the church will be divided in several spaces which are to be used by several religious groups. In the meantime the church is used as a theatre and for other events.